THE BEST 55 REISSUES OF 2015-PART ONE. The next stop in my look back at 2015, is the reissues released during the last twelve months. Again, I started with a long-list, and over the course of a few weeks, gradually, narrowed it down to fifty albums. These albums are an eclectic selection, and cover an eclectic selection of musical genres. Theres’s something for everyone as I celebrate the best fifty-five reissues of 2015. AKSAK MABOUL-ONZE DANSES POUR COMBATTRE LA MIGRAINE-VINYL EDITION. Deep down, everyone has a dream. For most young musicians, it’s to record and release an album. That was Marc Hollander and Vincent Kenis’ dream in the spring of 1977. They had recently formed a new band, Aksak Maboul, and were determined to record and release an album. So Aksak Maboul entered the studio in April 1977 and began recording their debut album. The resultant album was Onze Danses Pour Combattre la Migraine, which was recently reissued by Crammed Discs, the label Marc Hollander founded in 1981. Thirty-four years later, and Crammed Discs is still going strong, and releasing groundbreaking music, including the reissue of Onze Danses Pour Combattre la Migraine. This long lost avant-pop classic was Aksak Maboul’s finest hour. 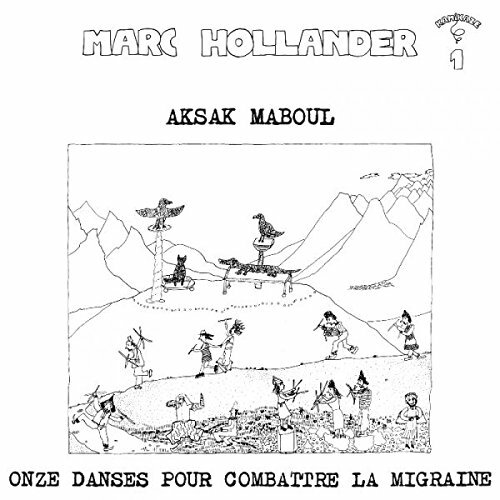 Although they released two further albums, Aksak Maboul never surpassed Onze Danses Pour Combattre la Migraine. It’s an avant-pop classic, that set the bar high for those that followed in their footsteps. Very few came even close. No wonder. Onze Danses Pour Combattre la Migraine was Aksak Maboul’s finest hour, and is best described as an avant-pop equivalent of a perfect storm. The story of Arthur Lee Harper is a familiar one. He was a talented singer-songwriter who looked as if he was destined for great things. Sadly, that proved not to be the case. Arthur only ever released one album, Dreams and Images which was released on Lee Hazelwood’s LHI Records 1968. Dreams and Images was rereleased by Light In The Attic, and could’ve and should’ve been the first of many successful albums from Arthur. That wasn’t case. Arthur’s recording career was over before it began. 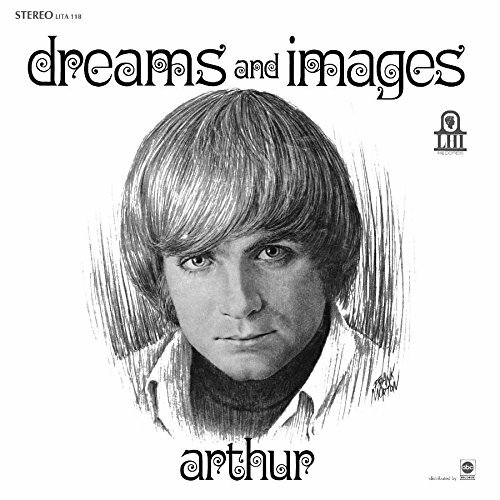 Sadly, Dreams and Images was the only album Arthur recorded. Not long after leaving LHI Records Arthur turned his back on the music industry.Arthur became a Christian, and took to writing religious songs. He worked as an engineer, and then as a special education teacher. However, Arthur still played and wrote music as a hobby. His shot at fame and fortune was long gone. Sadly, tragedy struck for Arthur in 2002. On the 10th of January 2002, Arthur’s wife Lori tragically, died in a car crash. That night, Arthur died of a heart attack. Arthur Harper Lee, the man who could’ve and should’ve been a star was forever lost to music. 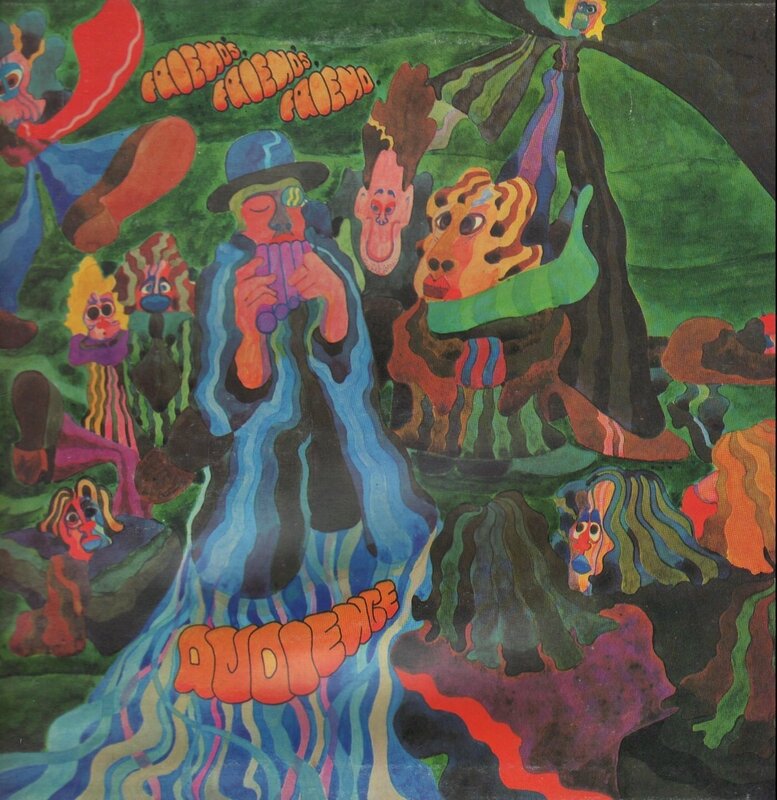 However, Arthur left behind a quite beautiful, captivating, haunting and mesmeric musical legacy, Dreams and Images, a lost psychedelic folk classic. Back in 1994, Ata Kak originally released his debut album Obaa Sima. It was no ordinary album. Obaa Sima was released with the help of his college professor and Ata’s twin brother. His brother designed the artwork for the cassette, and Professor O.A. DeGraft Johnson, helped release Obaa Sima through the university’s publishing department. Eventually, the release date arrived, and fifty cassette copies of Obaa Sima were made and released. Ata and his brother decided fifty copies of Obaa Sima was enough to be going on with. They were essentially testing the market in in Ghana and Canada, to see how DJs and record buyers would react to Ata’s lo-fi fusion of highlife, Twi-language rap, funk and disco. Delivered with the energy and enthusiasm heard on early Prince albums, surely Obaa Sima would capture the imagination and hearts of critics, DJs and music lovers? Sadly, that wasn’t the case. Since then, illegal copies of Obaa Sima were available on the internet. Meanwhile, Ata Kak was struggling financially. That’s when Brian Shimkovitz, the founder of Awesome Tapes From Africa tracked Ata Kak down. The two men agreed to reissue Obaa Sima in March 2015. 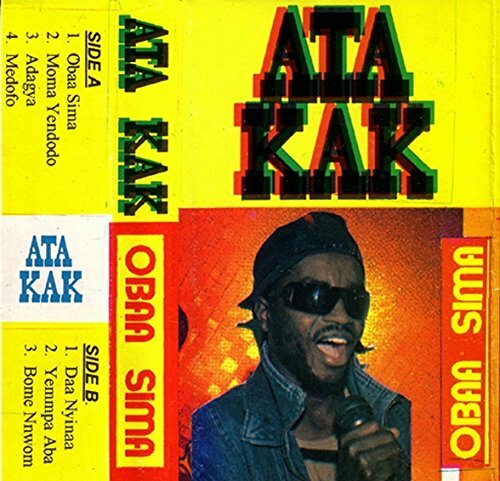 Somewhat belatedly, Ata Kak should make some money out of what’s a a true hidden gem of an album, that’s bound to appeal to many people, Obaa Sima. In October 1969, Audience were booked to open for Led Zeppelin at the Lyceum in London. This proved to be the break Audience were looking for. Unknown to Audience Tony Stratton-Smith was watching. He had just formed a new label, Charisma, and was impressed by Audience. He managed to make his way backstage, where he met Audience. Tony Stratton-Smith started telling the band how impressed he was by them, and how he wanted to sign them to his new label, Charisma. Realising that here was someone who was interested in their music, and believed in them, Audience agreed and quickly, began work on their sophomore album Friends, Friends, Friend. When Friends, Friends, Friend was released in 1970, it featured a minor hit single, Belladonna Moonshine. This lead to an appearance on British television. Despite this, Friends, Friends, Friend, with its fusion of art rock, country, classical, folk, pop, progressive rock and rock wasn’t a commercial success. Forty-five years later, and Friends, Friends, Friend has been reevaluated. It’s an album that’s best described as eclectic and innovative. Sadly,Friends, Friends, Friend their music has found the Audience it deserved. 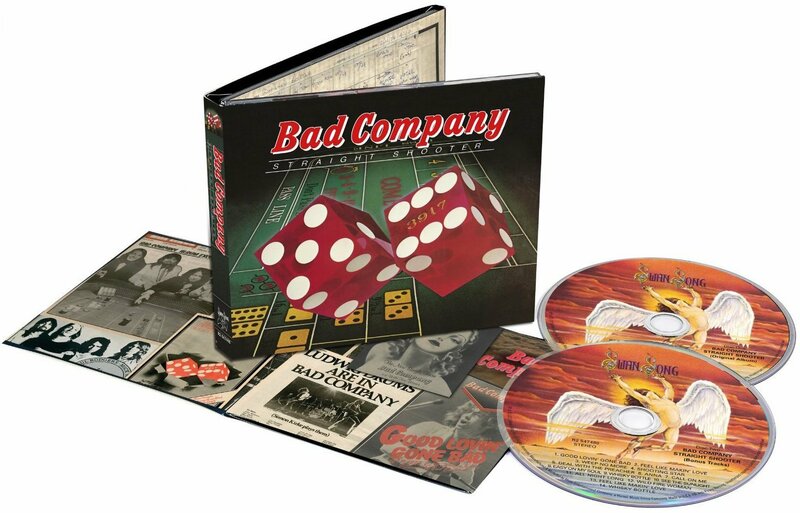 BAD COMPANY-BAD COMPANY (DELUXE EDITION). From their 1974 debut album Bad Company, right through to 1979s Desolation Angels, Bad Company were one of the biggest selling bands on both sides of the Olympics. In Britain and America, Bad Company could do now wrong. Their eponymous debut album was released to critical acclaim, and certified gold in Britain and five times platinum in America. Not many bands sold five million copies of their debut album. However, Bad Company did. Their classic debut album was reissued by Rhino as a double album. With its mixture of rocky tracks and ballads, Bad Company caught the imagination of the record buying public. Across Europe, North America, Australasia and Britain, Bad Company were the latest supergroup to become part of rock royalty. They were at the top for five years. From 1974, right through to 1979, Bad Company were rubbing shoulders with the great and good of rock music. They were one of the most successful British rock bands, and also, one of the most successful rock supergroups. Given the commercial success of Bad Company, the band’s record company Swan Song and manager Peter Grant were keen to strike while the iron was hot. They decided that Bad Company should return to the studio as soon as possible. 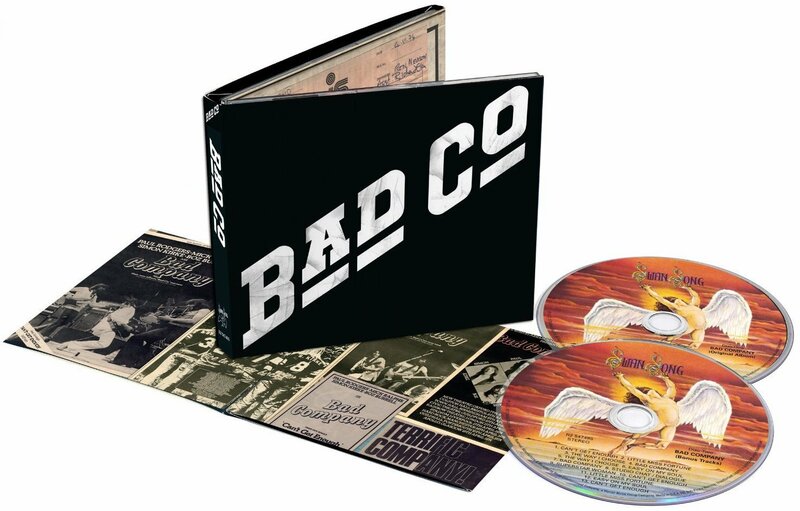 So, in September 1974, Bad Company found themselves back in the studio, and recorded Straight Shooter which was released in 2015 as a double album. Reviews of Straight Shooter were mixed. How wrong the critics were. Straight Shooter was certified gold in Britain and Canada. In America, Straight Shooter sold over three million albums, and was certified triple platinum. Bad Company were now one of the biggest rock bands in the world. It seemed they could do no wrong. Straight Shooter became the second classic album of Bad Company’s nascent career. For five years and five albums, Bad Company could do no wrong. Bad Company were a musical behemoth, who sold over fourteen million albums and released two classic albums, including 1975s Straight Shooter. Not long after the release of her debut album She’s Like A Swallow, Bonnie Dobson began work on her sophomore album Dear Companion. It was reissued by Big Beat Records, an imprint of Ace Records during 2015. This was a welcome and overdue reissue of an album by a musical pioneer, who was one of the first female folk singers of the sixties folk boom. 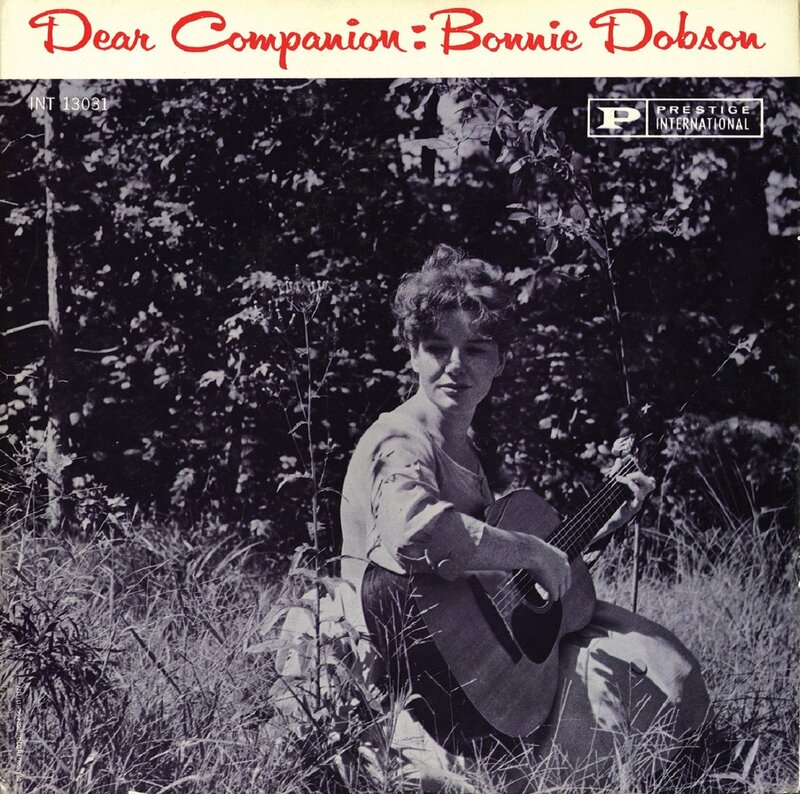 Before to the release of Dear Companion in 1961, critics had their say on Bonnie Dobson’s sophomore album. They were impressed by Dear Companion, and its disparate selection of songs. Each were brought to life by Bonnie Dobson. She was a combination of singer and storyteller. Bonnie who was a rising star of the folk scene, was quickly coming to the attention of the press and media. She was a trailblazer, who had made inroads into the previously male dominated folk scene. Dear Companion finds Bonnie Dobson at her most versatile. There was everything from blues and folk ballads to French-Canadian, Czechoslovakian and Yugoslavian songs. Each and every one of these songs are brought to life by Bonnie Dobson. She’s a combination of singer and storyteller on Dear Companion, where she veers between folk, blues and country. As she does, the songs come to life. Not every singer can do that. However, Bonnie Dobson was a pioneer of the sixties folk scene and deserves at one time, was spoken in the same breath as Joan Baez, Judy Collins and Carolyn Hester. Ambient 1/Music For Airports would prove to be the first in a quartet of the “Ambient” series. Brian came up with the Ambient term to differentiate his music from what many people referred to as “canned music.” Originally, Brian perceived the music on Ambient 1/Music For Airports as being played continually at airport to calm people down and defuse tension. This idea came to Brian when he was waiting for a plane at Bonn airport in the mid-seventies. Brian found the lack of a soundtrack uninspiring. Music like that on Ambient 1/Music For Airports was the answer. So, he recorded what he’d have liked to hear in Bonn airport. It’s no exaggeration to say that Brian Eno’s Ambient 1/Music For Airports, his sixth solo album, is an ambient classic. I’d go further and say that Ambient 1/Music For Airports is a classic album. Minimalist, understated, spacious, ethereal, haunting and becalming, it was an ambient Magnus Opus. That’s quite fitting. Back in 1975, Brian drew inspiration from Erik Satie for his fourth album Another Green World. On Ambient 1/Music For Airports Brian took this concept further. Much further. Rather than record what Erik described as “furniture music,” Brian Eno expanded this concept. He recorded an album that could and would provide the soundtrack to everyday life. He envisaged this providing the backdrop at airports, becalming the weary traveller and diffusing tension. In some ways, Brian meant the music is utilitarian. Brian also envisaged the music as providing a constant backdrop to art installations. So, Ambient 1/Music For Airports could be all things to all people. This was neither an abstract nor elitist music, like some ambient, experimental and avant garde was perceived. 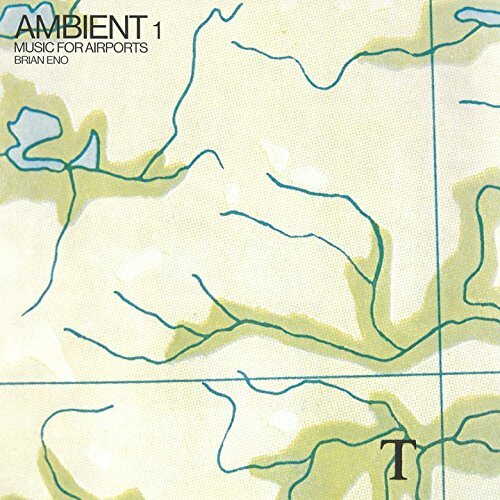 Ambient 1/Music For Airports also marked the blossoming of Brian Eno’s creativity. A lifelong musical pioneer, Ambient 1/Music For Airports was the start of the most creative period of Brian Eno’s long career. He released another three albums in the “Ambient” series. They feature the Godfather of ambient music at his creative zenith. Since then, Brian Eno has continued to release ambitious, challenging, groundbreaking and innovative music. However, one of his finest albums isAmbient 1/Music For Airports, a groundbreaking classic album. Often, when recording an album, an artist thinks about an album cover only once they’ve finished recording. Not David Kauffman and Eric Caboor. They put the cart before the horse, in the spring of 1983, and came up with an album cover before they had even recorded their debut album. The photo shoot for the album cover took place in the spring of 1982. Recording however, didn’t take place between June and October of 1983. David Kauffman and Eric Caboor recorded thirteen songs. There was one problem, only ten would fit on Greetings From Suicide Bridge. It was reissued last by Light In The Attic Records. Greetings From Suicide Bridge find David and Eric creating music that is understated, rueful, wistful, melancholy, despairing, poignant, hopeful and beautiful. Other times, the music on Greetings From Suicide Bridge is also stark and personal. Sometimes, the music is cathartic, when David or Eric unleash their hurt and heartbreak. When this is the case, Greetings From Suicide Bridge becomes like a confessional. Always though, the music on Greetings From Suicide Bridge is captivating. Not once does the listener one think about missing a track. Far from it. On every track the listener is drawn in, just in case David and Eric throw one of their curveballs.They do that several times on Greetings From Suicide Bridge. When this happens, the song changes totally. Often it’s totally unexpected. This is another reason why Greetings From Suicide Bridge is such a compelling album. It’s also an album where David and Eric flit between, and fuse musical genres. Everything from blues, folk rock, country and rock is combined . Meanwhile, the playing is mostly subtle, and proves the perfect foil for the vocals. The vocals breath life and meaning into the lyrics. That’s why by the end of Greetings From Suicide Bridge, one can’t help but wonder why someone, somewhere didn’t spot the potential in David Kauffman and Eric Caboor’s debut album? In 1974, things looked good for Earth and Fire. Their live shows received rave reviews in the music press. There was talk of Earth and Fire touring with Mott The Hoople in September 1974. This never came to anything. However, they released their fourth album To The World Of The Future. It moved away from the symphonic sound of earlier albums. Critics were impressed by what was a stylistic departure from Earth and Fire. It showed they weren’t content to stand still. Instead, Earth and Fire released a genre-melting album. They fuse everything from electronica, funk and jazz, to progressive rock, psychedelia, rock and symphonic rock. It was a journey through musical genres, with Earth and Fire as the listener’s tour guide. Sadly, despite the change of direction, and determination to innovate, To The World The Future wasn’t as successful as previous albums. 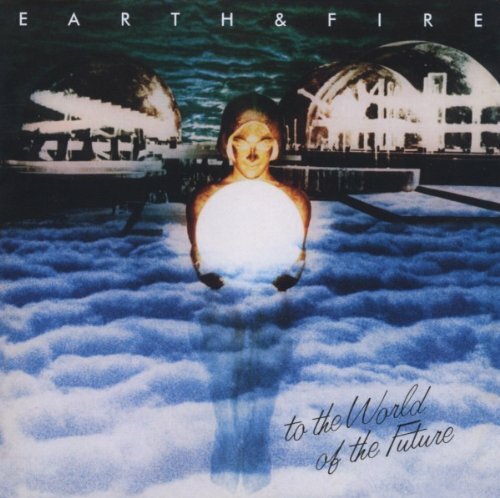 However, To The World The Future is an oft-overlooked album in Earth and Fire’s back-catalogue, that’s well worth discovering. ← THE BEST 50 REISSUES OF 2015-PART TWO.